When the Brooklyn Nets met up with the Atlanta Hawks on Sunday afternoon, this was a game that one went in thinking that the Nets would definitely get a “W.” The Nets were coming to the table with a four-game winning streak. The Hawks win-loss record was only 6-22 while the Nets were sitting at 12-18. The prevailing thought was for the Nets to lose to the Atlanta Hawks under these conditions would have been an absolute travesty. But this is the NBA, and anything can happen. Fortunately, the Nets turned up and kept it going to send the Hawks out of the Barclays Center with a 144-127 loss. Although the Hawks are not sitting at the upper echelon of the NBA’s Eastern Conference, the attendance at the Barclays Center for this Sunday afternoon game was 13,955 slightly higher than the attendance of 13,232 for the Washington Wizards game on Friday night and the Wizards have a similar overall record as Brooklyn. 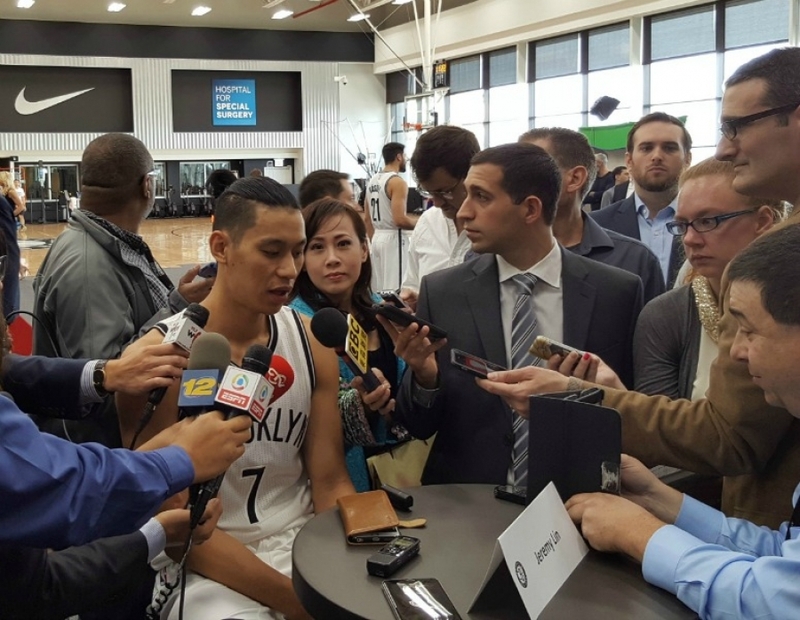 The prevailing thought was that the attendance draw was Jeremy Lin. 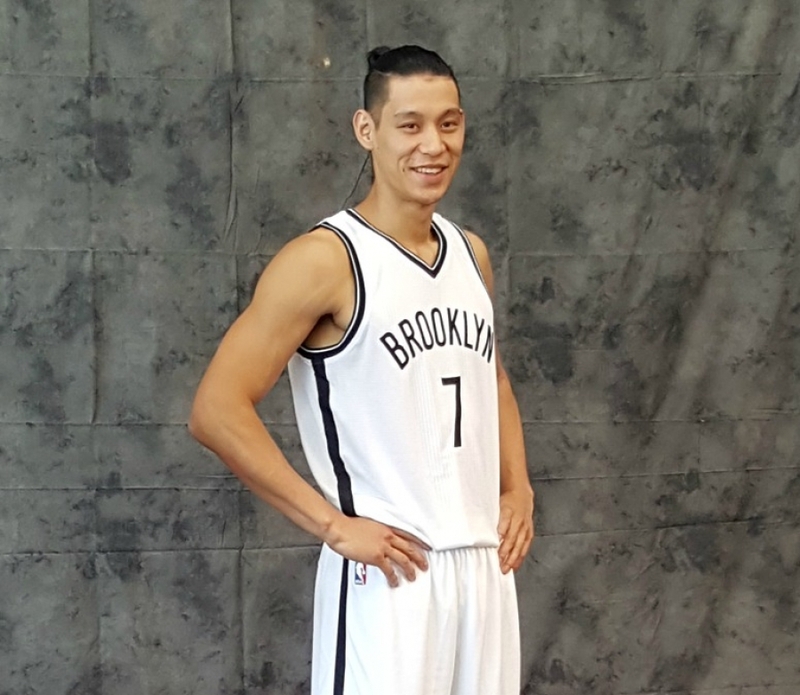 After all, it was Lin’s first return to Brooklyn since being traded to Atlanta, a trade which took a number of people by surprise including Lin. Unfortunately for Lin’s fans, he played just under 14 minutes scoring a dismal six points and one assist. Certainly not the performance Lin’s fans wanted to see and most of all, not one that Lin wanted to happen for himself. Many reporters thought this would be Lin’s revenge game, but apparently, Lin is still trying to find his rhythm following his catastrophic injury from last season, he scored two points in the first quarter and four in the third, two free-throws and a driving layup. Lin did not play at all in the second quarter. Despite Lin’s troubles, the Hawks did try to make a run for it in the second quarter and came within two points, 66-64 at 1:34, which possibly sent shivers through Nets head coach Kenny Atkinson. Meanwhile, Atlanta Hawks head coach Lloyd Pierce reflected on how his team responded to him challenging them at the end of first quarter. The Hawks leading scorers were John Collins with 29 points and eight rebounds; Dewayne Dedmon registered 24 points, 12 rebounds, and three assists; Kent Bazemore tallied 20 points, seven assists, and three rebounds, and Trae Young contributed 13 points and 10 assists. On the contrary, Brooklyn had eight players in double digits including all starters. D’Angelo Russell led all scorers with 32 points, seven assists, six rebounds, and two steals. 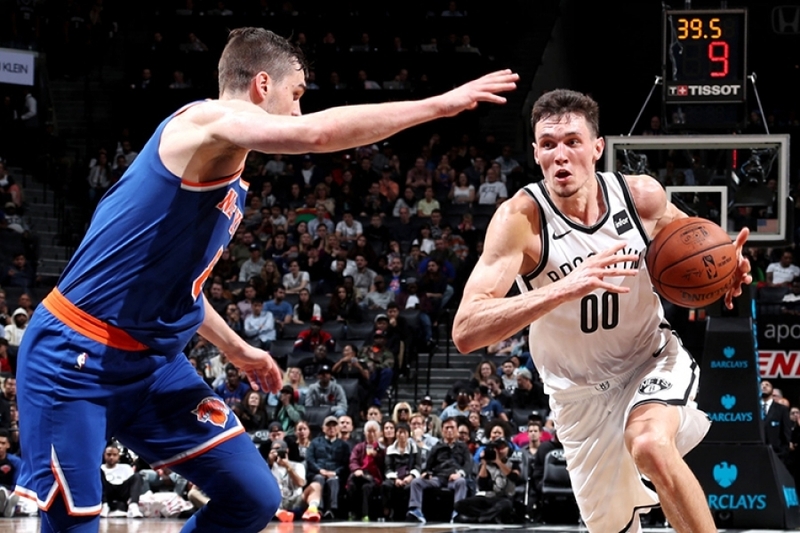 Other starters in double-digits were Rondae Hollis-Jefferson with 18 points, four rebounds, and three assists; Joe Harris tallied 16 points and six assists; both Rodions Kurucs and Jarrett Allen scored 11 points. Kurucs added six rebounds and four assists, while Allen put up four rebounds and two blocked shots. 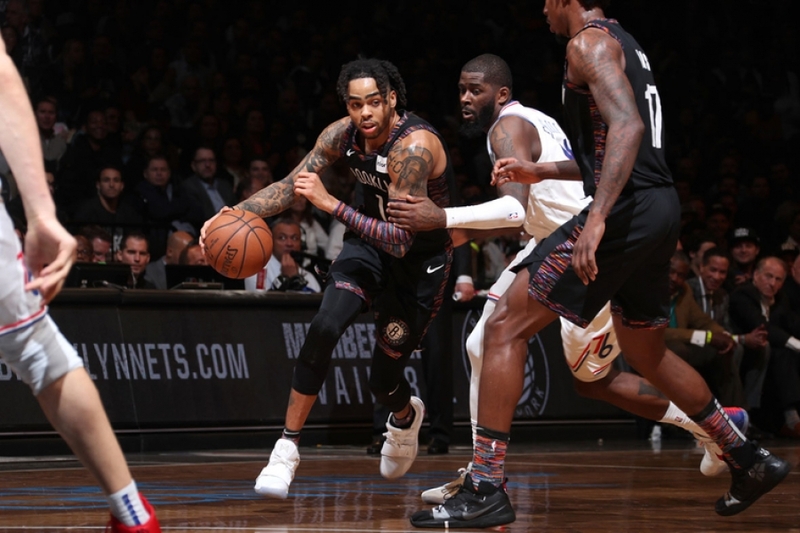 The Nets’ double-digit scorers in the second unit were Jared Dudley with 16 points and three steals; both Spencer Dinwiddie and DeMarre Carroll scored 15 points each, and Dinwiddie added five assists and three rebounds to his scoring total. Looking ahead, the Hawks play the Washington Wizards in Atlanta on Tuesday, December 18, 2018. Meanwhile, the Nets are scheduled to play the Los Angeles Lakers at home also on Tuesday, December 18, 2018, at 7:30 p.m. at the Barclays Center in Brooklyn. All over the country NBA teams held Media Day today, a day when NBA teams give the media access to players. 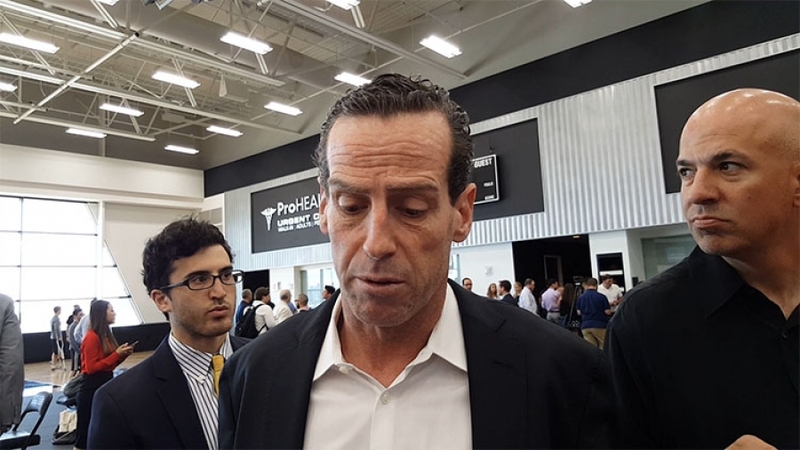 The Brooklyn Nets held its media day today in Sunset Park, Brooklyn and if you were expecting any bombshell announcements, so sorry, the atmosphere was pretty much the same since Sean Marks took the helm as Nets general manager. There was no over the top hyperbole. The team is still on message, it’s all about a positive culture, focused on mental and physical development, teamwork, and staying on task. And, as such, from the players’ perspective, the outlook is mostly positive. To a man, everyone was talking in the most positive of tones about their teammates, like they are all best buds. 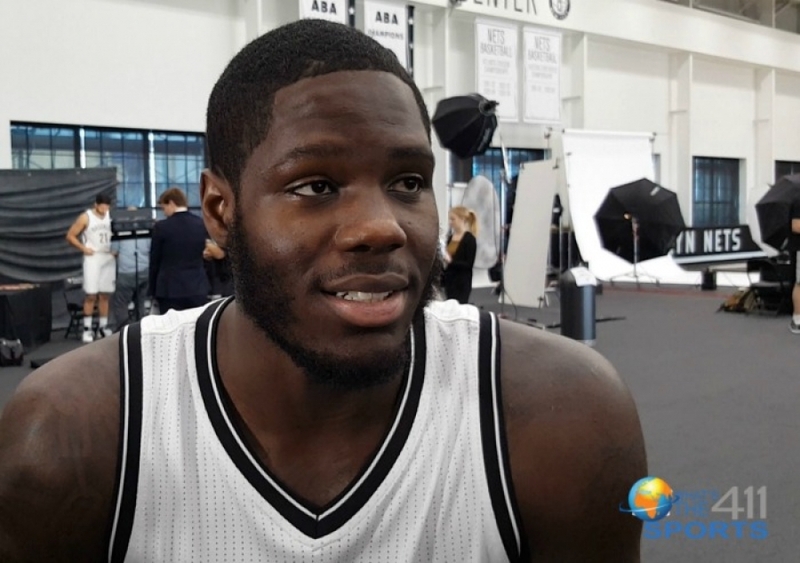 New players including veterans seemed to be genuinely happy to be in Brooklyn. Each player is looking forward to tipoff to start showing the naysayers and those that are not checking for the Nets that they are a team to reckon with. And, as the theme song from the old sitcom The Jefferson’s goes, “we’re moving on up” was an underlying theme. At the moment, it appears that Marks and his team did their job during the offseason by bringing in defensive players like Ed Davis, who is known for his defensive prowess. With these additions, the Nets should have the pieces it needs to close out more games than it did last season. There were so many close games that the Nets lost because of lack of defense. Now how long will it take for the new guys to gel with the core of players from last season? "Knowing how the rebuild process goes, we're going to have to slowly get back," added Nets center Jarrett Allen, who is going into his second season as a professional. “It's just small steps we're taking." 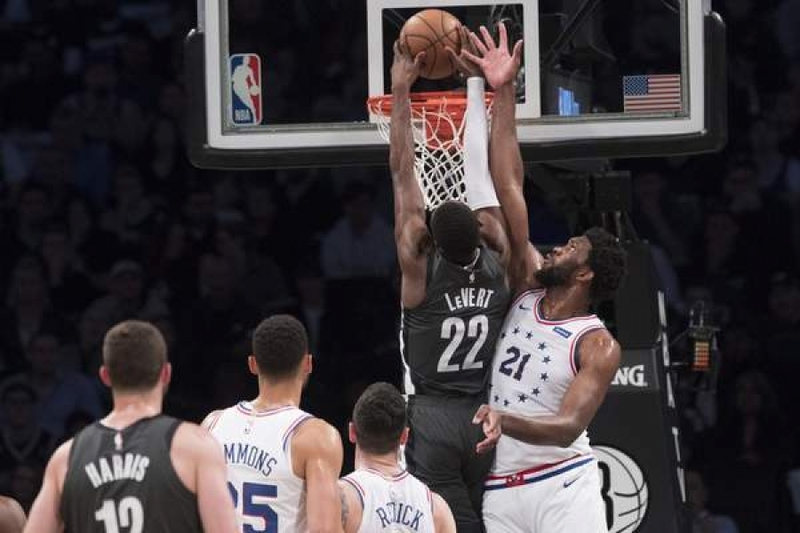 Now, looming in the background with all of this positivity is the chatter that Dinwiddie, a 4-year veteran, and the player who held the Nets together while Jeremy Lin and D’Angelo Russell were out with injuries, could be part of a trade deal for Jimmy Butler of the Minnesota Timberwolves. 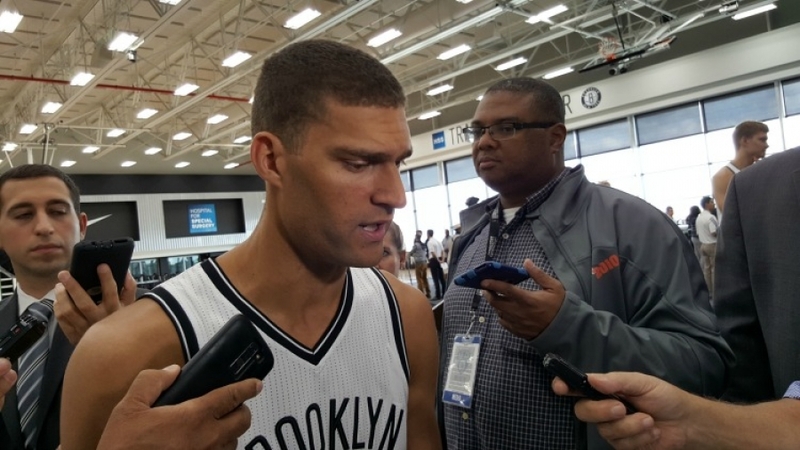 “Being in trade rumors all summer I guess is two pieces: I want to be here. I love being here. I'm happy that they didn't (trade me). On the flip side, the spectrum of teams calling me (meant) obviously I played well," Dinwiddie said. "I've been on the other side of the situation where obviously nobody really cared what I was doing. It's cool in that respect. I guess mildly stressful, but at the same time, I can't control it, so it doesn't too much matter." The clocks were turned forward one hour just a few hours before the New York Knicks faced the Philadelphia 76ers Sunday afternoon at Madison Square Garden. When they stepped on the floor, they played as if they were still asleep. Coming into the game, the first place 76ers (24-17) were riding a two-game winning streak with wins over Boston and Utah. The Knicks, however, were coming back home after losing their four previous games, all on the road. With Tyson Chandler back in the starting line-up after missing the last 2 games (hamstring and left wrist), New York was hoping his presence, especially on the defensive side, would help bring the end to the losing streak. With Carmelo Anthony coming out with a purpose (10 points), the Knicks took an early first-period lead (21-14) before Philadelphia outscored them 8-3 to end the period trailing only by two (24-22). Evan Turner (7 points) and Louis Williams (coming off the bench to add another 7) helped close the gap. The teams went back and forth in the second period with no lead getting bigger than 6 (Philly 49-43) after Thaddeus Young, getting additional bench help, scores four straight points. He finished the period with 10 points. Louis Williams led the team with 13. Anthony, Jeremy Lin, and Landry Fields scored the Knicks last 6 points in the final 1:08, but ended the first half trailing by 2 (51-49). The Knicks started the third period only trailing by three (65-62) after a Lin lay-up. Then New York went into its sleepwalking mode. Not hard to see how the Sixers dominated the rest of the period and showed why they have scored more points than any other team in that period. Philadelphia outscored the Knicks 24-11 over the rest of the period (38 points for the period) to take a 16 point lead (89-73) entering the final period. Williams continued his hot shooting scoring 14 points. With both Anthony and Amar'e Stoudemire benched in the last period, head coach Mike D' Antoni was hoping the second unit would spark a comeback. It wouldn't happen as Philadelphia continued to hammer the lifeless Knicks. With Young, Williams, and Evan Turner outscoring New York 9-4 to begin the final, the Sixers upped their lead to 21 (98-77). The Knicks got as close as 10 points (104-94) with a little more than 1 minute left but the game had long been decided. The defense that had been a big part of the Knicks during the Lin-Sanity run not only allowed Philadelphia to shoot 51% from the floor but an unacceptable 57% from 3-point land. "Collectively we didn't play well. Collectively our spirit isn't good. Collectively, our defense wasn't good. Collectively we just didn't do what we needed to do. We have to solve that," said D' Antoni. The New York Knicks started the second half of their season against the Cleveland Cavaliers (13-19) with a roster that had players that didn’t play the first time they faced each other. The game played in Cleveland and won by the home team (91-81) had everyone talking about guard Kyrie Irving the way all have been talking about Jeremy Lin. Irving had a less than impressive night finishing with only 7 points and 7 assists. But with New York turning the ball over 23 times, leading to 24 Cavaliers points, Cleveland went on to the 10 point victory for their 7th win of the year. Fast forward to last night when New York played host with head coach Mike D’ Antoni having a true point guard in Lin and veteran back-ups in Baron Davis and J.R. Smith. They also had at their disposal Iman Shumpert and Josh Harrellson who missed time with injuries. Finding the right combination with a full roster was the dilemma facing D’ Antoni. It did not matter what combination of players D’ Antoni put on the floor in the first half as the Knicks came out as if they all had all participated in every event that took place during NBA All-Star weekend. New York would never lead in the first 24 minutes of the game as Cleveland, coming off their 3 point loss to Boston the night before, jumped all over the Knicks. The Cavs shot 54% taking a 12 point halftime lead. Antwan Jamison led all scorers with 15 points (2 of 3 from 3-point land) while both Tyson Chandler and Jeremy Lin scored 10 points for New York. As poorly as they played, the Knicks were only down by 7 (36-29) with a little less than 10 minutes to go in the second quarter. Over the next 9 minutes, Cleveland outscored the Knicks 25-15 to take a 17 point lead (61-44). Only a 5 point spurt by New York reduced the lead to 61-49. The defense that was non-existent in the first-half, came to life in the 3rd quarter. New York forced 8 Cleveland turnovers and outscored them 33-19 by the end of the period. They took their first lead of the game with 2:52 left after a Steve Novak 3-pointer. Novak, who established himself in the first half of the season with his deadly 3-point shooting, picked up right where he left off. Novak would hit 2 more 3-pointers before the end of the period as New York took a 2 point lead (82-80) heading into the final 12 minutes. “He was ridiculous,” said D’ Antoni. Novak’s hot shooting continued to begin the 4th as he hit the next 2, 3-pointers that extended the Knicks lead to 8 points (90-82). Just when you thought the Cavaliers were about to call it a night, Irving connects on a 3 pointer of his own to cut the lead to 8 (106-98) with less than 3 minutes to go. It was the Lin show the rest of the way. He began with 2 free throws, scored on a lay-up and assisted on 2 other baskets. The last assist, an ally-oop slam with Iman Shumpert on the receiving end. It was his first game back at Madison Square Garden since he torched Kobe Bryant and the Lakers last Friday to the tune of a game, season, and career-high 38 points. Add to that two come-from-behind road wins (including the game-winner against Toronto) and you knew why the sold-out crowd erupted when Jeremy Lin was introduced prior to the game against the Sacramento Kings. Given how the Knicks have fared against teams with losing records at home, the Kings and their 10-18 mark were no easy target. That was before Lin was propelled into the starting line-up. Jeremy Lin rebounded from his 8 turnover night against the Raptors recording six assists to go along with five points and zero turnovers all in the first period alone as New York jumped out to a 12-point lead (25-13). They converted on 10 of their first 12 shots before Lin sat down late in the first quarter. "I just thought we played really exceptionally well in the first quarter," said head coach Mike D 'Antoni. The team didn't skip a beat while Lin rested. After a 3-pointer by Jimmer Fredette cut the lead to 5 (25-20) Iman Shumpert, Bill Walker and Jared Jeffries scored the next 9 points to extend the lead to 13 (35-22) before Lin returned with 7:38 in the second. Steve Novak, who has stepped up his game during the winning streak, hit his only basket of the half. After a Landry Fields rebound, he finds Novak in the corner who promptly steps up and drains a 3-pointer, getting fouled in the process. He calmly sinks the free throw giving the Knicks a 15 point (49-34) lead. As well as New York did well offensively shooting 51% for the first half, they did better on the defensive end. The Kings shot only 33% and missed on 9 of 11 3-point attempts. 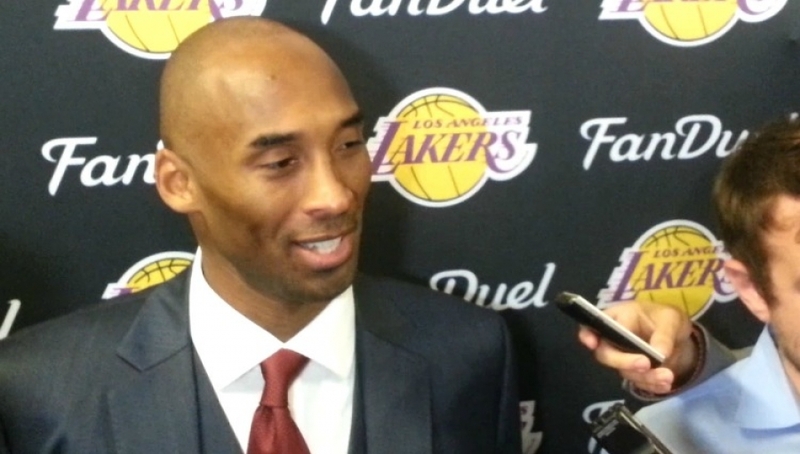 "Any time you play with good offense, you get excited, D 'Antoni continued. "Tyson (Chandler) anchors the whole thing. Then you have Shumpert who comes off the bench that you can put him on the point guard. With those two guys it's contagious. If you want to win, you play that way." The Knicks began the third period up by 18 (54-36) and did not let up. At one point, they extended the lead to 25 points after a Fields layup. Walker added 8 more points, Fields 4 while Lin chipped in with 4 more assists. As a team, they increased their shooting percentage to 56 while the Kings dropped a point from the first half to 32%. It gave D 'Antoni a chance to rest not only Lin but Chandler as well. Neither played a minute in the last period. Lin had averaged 38 minutes in the last 6 games. Because of their lead from beginning to end, he only played 26 minutes. Important in that they will play 3 games in the next 4 nights. The scheduled amount of games and minutes do not concern D 'Antoni when it comes to Lin. "He's 23 years old. He should be able to go forever." When Jeremy Lin came out of the game he sat next to Carmelo Anthony. Both had Cheshire Cat smiles on their faces, while they chatted and giggled as the reserves continued piling on points. "We were just having fun talking about how we will be excited when he comes back," said Lin. He's looking forward to the first time they will play together. "He (Anthony) is a lethal scorer. Coming off the pick and roll, he can come off the pick and rolls too. We should be more dangerous offensively." It's been 7th heaven for Lin and the Knicks since he came off the bench to score 25 points against the Nets in a win that may have just saved his head coach's job. The ride continues Friday night when they face a New Orleans Hornets team that had only 5 wins at the start of the evening. Can anyone say the 8th Wonder? Miami Heat ends Lin-sanity and shows the New York Knicks who's "bigger, stronger, meaner and faster"
About 400 miles from where the NBA is setting up for the second biggest league event (the NBA Finals is the first), the New York Knicks were in Miami facing the Heat who were on a 7 game winning streak. The New York Knicks felt good about themselves coming into the game after demolishing the Atlanta Hawks the night before at Madison Square Garden. They were hoping that momentum would carry over and the combination of Jeremy Lin and Carmelo Anthony in the offense would improve. 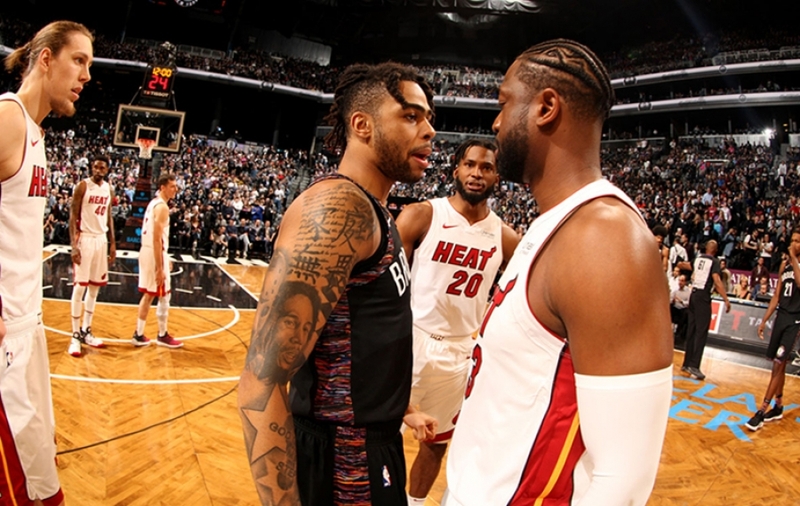 The Heat had other thoughts as they came out in the immortal words of rapper Kanye West, "bigger, stronger, meaner and faster. In their 102-88 win over the Knicks, the Miami Heat 4 players score in double figures led by Chris Bosh with 25 points. It's what they did on the defensive end that suffocated the Knicks and in particular phenom Lin who was warned before the game that Miami would throw every defensive scheme his way every time he touched the ball. Miami came out like a "pack of wild dogs" the term used by legendary linebacker Lawrence Taylor of the New York Giants when he wanted to get his team fired up. The Knicks did not wilt from the first wave of the Heat's pressure. In fact, the Knicks only trailed by 4 points (24-20) after the first period despite Lin's 3 turnovers. Things would only get worse for Lin as he finished the night missing 10 of 11 shots and turning the ball over 8 times. The third period is when it all began to unravel for New York. They began the period down by 4 points again (51-47) when the Heat took total control. After Lin and Anthony converted 4 straight free throws to get within 2 (53-51) Miami responded by scoring the next 6 points. Before you could say Lin-Sanity, the Heat then outscored New York 27-15 the rest of the way to take a 14 point (80-66) lead. The Heat defense only allowed the Knicks 19 points. Miami then put the game on cruise control as the Knicks could only get within 9 points (82-73) with a little over 9 minutes left in the game. The bench play that was supposed be a big part of the Knicks since they got Baron Davis back from injury, and the signing of J.R. Smith, was a non-factor in the game. Although Smith did contribute 14 points Davis struggled mightily. He missed all 7 shot attempts finishing the game with zero points. Steve Novak continued his hot shooting nailing 4 of 5 three-pointers for 12 points. Anthony led all Knicks scorers with 19 points. It wasn't the way the Knicks wanted to end the first half of the year, losing to a team that is expected to not only get to the NBA Finals but to win it all. For one night Lin was brought back to earth by a team who was hell-bent on not letting the Lin-Sanity continue. Said Heat's head coach Erik Spoelstra, "we wanted to treat him (Lin) with the adequate respect he deserves." NBA All-Star weekend takes center stage tonight as the Celebrity All-Star game and Rising Stars Challenge takes place at the Amway Center. Jeremy Lin has been chosen to be on the team that will be coached by Shaquille O' Neal. With No. 14-seeded Harvard's 68-62 upset win over No. 3-seeded New Mexico in the NCAA Men's Basketball Tournament, Crimsonsanity is starting to set in. So, is Crimsonsanity? NBA fans and media all know the "Linsanity" that went on last season when Lin was a player with the New York Knicks. Harvard is the alma mater of Houston Rockets guard Jeremy Lin. It is also Harvard's first NCAA Men's Basketball Tournament victory ever. Add to that Jeremy Lin's tweet after the Harvard win, "YYYYYEEEEESSSSSSSSS!!! HARVARD winssss!!! hahahahhah i told you," and now we have "Crimsonsanity". Not surprisingly, already there are Harvard Crimson Upset City t-shirts available. Capitalism does rule. Meanwhile here at What's The 411, despite the upset, our sports reporters' NCAA Men's Basketball Final Four picks remain intact. Kalise likes Duke to take it all. He expects that Duke and Kansas will "duke it out" (pun intended) in the championship round in Atlanta. He believes Duke has the confidence from being battle-tested through a tough out-of-conference schedule. Duke has beaten a lot of NCAA tourney teams VCU, Minnesota, Davidson, Temple, and Louisville. Duke also beat Kentucky, last year's champion. Its ACC foes: Miami, UNC, and NC State, which are also in the NCAA tourney, no problem. Moreover, Kalise strongly believes that you can't overlook how a team is coached. "Coach K is one of the best coaches in basketball, period," he said emphatically. "He just coached the USA Men's Basketball team to a gold medal at the 2012 Summer Olympics and he has multiple NCAA titles at Duke." "The team has shooters; the point guards play at the NBA level, the big men and defense post D. The only flaw is that athletic wing players or tough hard-nose teams usually give Duke problems. The teams that could prevent a Duke final four appearance are Memphis and Michigan State, but I'm sticking with Duke," Kalise continued. She has Memphis and Butler in the Championship game, with Butler winning it all. T.A. thinks Georgetown will win it all. "I like Kansas State as my sleeper," T.A. said. "Michigan State just always seems to be ready to play come tournament time. I have to have some love for my alma mater: Indiana. But, ultimately, it's the Georgetown Hoyas who have gone 14-2 in their last 16 games including an 11-game winning streak who will win it all." Andrew picks Louisville and Wisconsin for the Final 2, with Louisville winning it all. Interestingly, no one picked Gonzaga to make it to the Final Four; no NC State, UNC, Iona, or L.I.U.-Brooklyn. Well, L.I.U.-Brooklyn got bumped out of contention altogether by James Madison University before the Round of 64 got started. Wishful thinking on my part, as Iona and L.I.U. were real long shots, but hey, I gotta root for the home teams! As for What's The 411's hot shot sports reporters, time will tell who's right, if at all. The National Championship game is on April 8.
Who are your picks? Hit us up on Facebook at WhatIsThe411 or on Twitter @WhatsThe411TV. Outlook for New York Knicks: But It's So Early! For the New York Knicks at 3-4, defeating the Atlanta Hawks tonight 95-91, seven games in and 75 more games left to complete their 82-game campaign, their world is already crumbling before they can experience enough time to be wholesome. Those to blame for their less than impressive start to their season include the cheerleaders, the president, and general manager, the hot dog vendors, as well as, the vending machines. The blame game has already begun as well as the finger-pointing. One would assume that there would be a level of confidence attached to the New York Knicks label based on the season they enjoyed not too long ago capturing the Atlantic Division Crown, and winning 54 games in the process. To the naked eye, this team hardly resembles the team that accomplished those achievements last year due to the numerous roster changes in personnel but what’s most alarming about their start is their current mindset. Last year's Knicks team, although it struggled to play defense throughout the year, a re-occurring theme for the past decade, played with a certain level of intensity, focusing on competing against all challengers no matter the match-up and the strain. Last year’s Knicks team entered the season with expectations that they placed upon themselves of what they envisioned for themselves, revolving around the prime objective of winning an NBA championship, and with wins against the Spurs (which made me feel for the first time in a decade that the Knicks had arrived), three victories against the Miami Heat, as well as, winning a game on the road against the Oklahoma City Thunder, fans, the public as well as myself believed that a championship was actually within reach. Sadly, thus far, I have not seen that same aura that surrounded the Knicks last year. When you hear starting point guard Raymond Felton state that "I've got to play harder," team owner James Dolan requesting must-wins against the likes of the Atlanta Hawks, and star forward Carmelo Anthony having to validate the coaching of head coach Mike Woodson to the media, there is obviously a problem. Tonight's win should grant the Knicks some breathing room until they face the Houston Rockets tomorrow night at home in an early season test against a Western conference contender. The result should indicate the direction of where this season’s destination will be. The loss of center Tyson Chandler, out 4-6 weeks suffering a non-displaced fracture of his right fibula courtesy of a penetration dribble by Charlotte Bobcats guard Kemba Walker last week, will definitely impact the Knicks defense around the basket. The black cat has not left MSG as yet. This latest loss to their frontline makes their inside presence as soft as gummy bears relying on center Andrea Bargnani to be the last line, the enforcer. This loss to their front-court has prompted management to inquire about the services of Forward Kenneth Faried of the Denver Nuggets a rebounding demon for G Iman Shumpert, in my opinion, an absolute mistake not because of what Faried can provide but because of what Shumpert can become, and that's one of the best two-way shooting guards in the league. All in all, I believe it is too early to panic regarding the Knicks current state due to the infant stages of this 2013-2014 NBA season. Mike Woodson is still trying to find the correct ingredients in assembling the first and second unit. J.R. Smith has just returned furthermore planning to remind us all who the reigning 2012-2013 Sixth Man of The Year is. Bargnani is not comfortable yet, although recording a double-double in tonight's affair with 20 points and 11 rebounds seem as though he’s getting his feet wet, enjoying his new role and responsibilities and at the end of the day Melo is still on the roster right? Let them play. As for Thursday's nationally televised wine and dine between the Knicks and the Rockets, I expect a shootout, if the Knicks are willing to respond because I know the Rockets will. James Harden is only scratching the surface of becoming the best shooting guard in the league behind Lakers G Kobe Bryant and Heat G Dwyane Wade. Every player in the NBA salivates at the opportunity to lace them up against their former employers and look for G Jeremy Lin to expose the Knicks as well as Felton. I do not know who on this roster is capable of defending Rockets C Dwight Howard but it will be fun to observe the Knicks and the schemes they will entertain and execute against arguably the best big man in the NBA. The only way the Knicks will be successful this season is if they replicate the production they relished last season and that is scoring more than the other team, a feat that Anthony has to spearhead being the Numero Uno. We'll see how much the Rockets fare under the Broadway lights as well as the North Pole conditions that we love so much as natives.